Moving up in grades means an increase in schoolwork and responsibilities—and that almost always means a bigger backpack! Good thing we’re on the ball here at Everything Summer Camp. We always take the back-to-school season into consideration since it’s so close to the end of the camp season. Take a look at our latest backpack, an Under Armour creation dubbed the Storm Hustle II Backpack. The folks at Under Armour outdid themselves with this backpack! Sequel to their original Storm Hustle, they’ve made a few important upgrades to this beast of a backpack! The superfluous space inside is lined with soft fabric that makes this bag perfect for all-purpose carrying—secure for laptops, photography equipment, and other valuables. Its interior is protective, but the exterior is an impenetrable fortress. Under Armour’s exclusive Storm technology is th eir signature performance fabric which is extremely water and snow-resistant leaving the Storm Hustle II safe and dry in all weather conditions. Gifted with a strong bottom, its tough panel works as a shock absorber to eliminate damage to contents from being thrown down after a long woodsy trek or an exhausting school day! 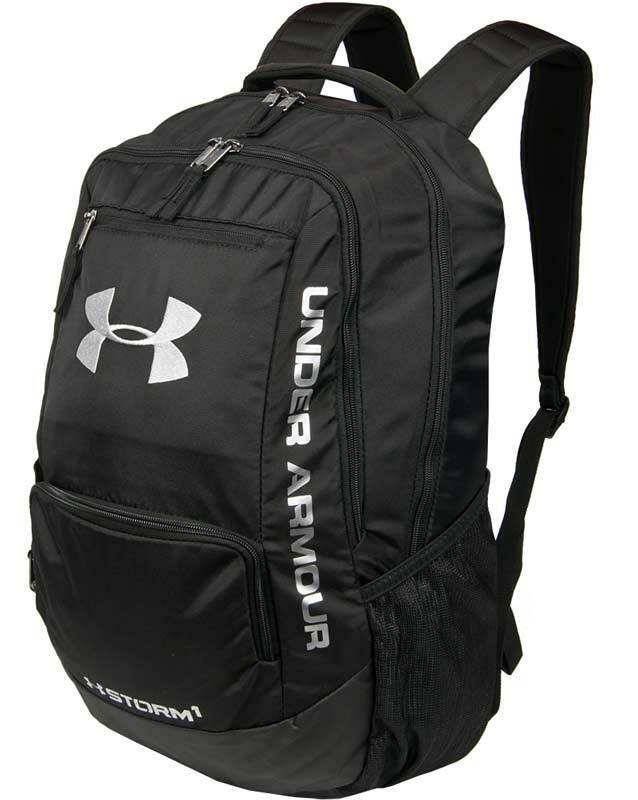 This pack also provides you with Under Armour’s Adjustable HeatGear® shoulder straps to give added carrying comfort and lessen the strain of all those heavy books. Complete with a gusseted front laundry pocket, another front pocket that’s water-repellent, and two mesh side pockets for water bottles, put this pack on your back for the summer season and keep it there when you head back to school! Built tough, this Storm Bag will stand up to all weather conditions and hold its ground so it’s sure to span the grades alongside you as you move up, maybe all the way to college! It’s durable and can take the weight of those hefty textbooks. Enjoy your return to the school year and as always, thanks for reading!